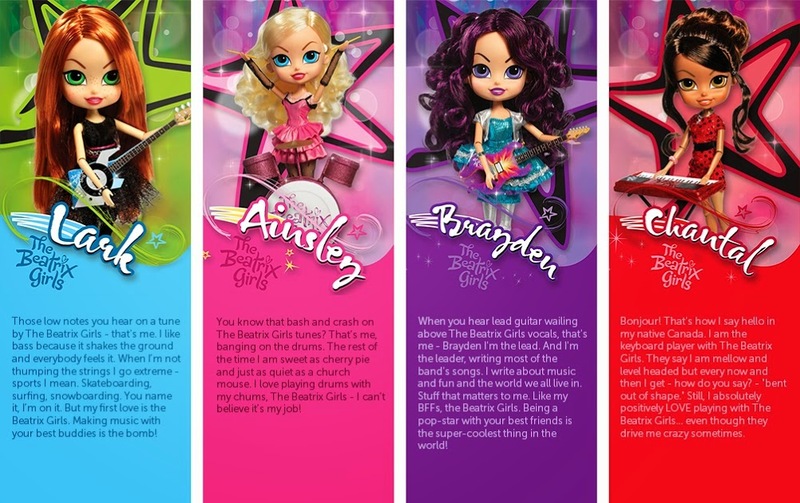 The Beatrix Girls is a line of collectible pop-star dolls driven by original music. 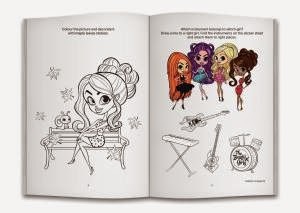 The Beatrix Girls' message is to empower and inspire young girls throughout the country through their music, fashion and goal-oriented lifestyle. 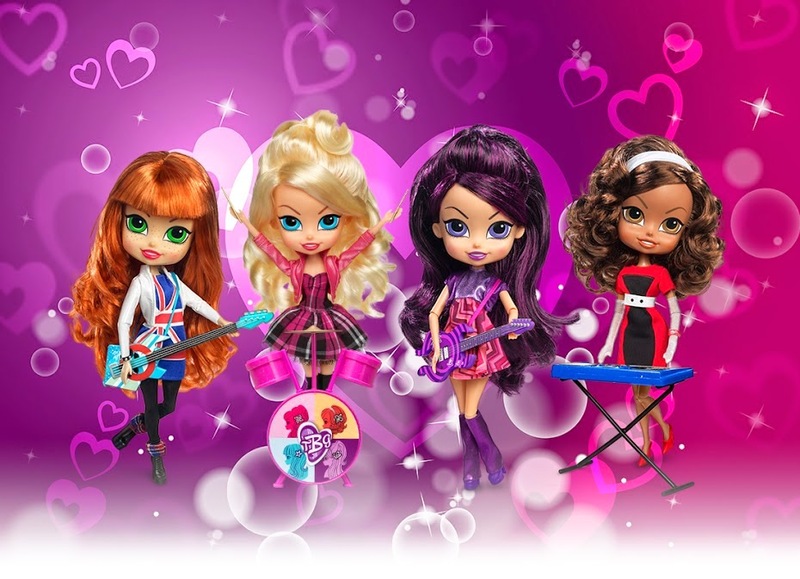 The four band members of The Beatrix Girls includes Brayden, Ainsley, Lark, and Chantal. Kids can interact by collecting their music and joining their fan club. The Beatrix Girls dolls are very highly stylized and uniquely designed to break the mold of 50 years of "me too" dolls. They are masterfully sculpted in a unique angular design style. Their proportions are differentiated with huge heads, lots of flowing hair, and very large expressive eyes. The Beatrix Girls are an accomplished pop-star band with real music that young girls are sure to adore, and they just happen to be beautiful 12" dolls. They're young, they're real, they're spunky, and they're relatable to young girls. These 12" dolls not only interact in the real life-sized human world, but they also produce real music, real hits, and real sales. Included with each Beatrix Girl doll is a code to register online and become a VIP Trixie. There, you can download songs and watch webisodes. The Beatrix Girls music is also available on iTunes and Amazon. The Beatrix Girls know how to rock, with style! 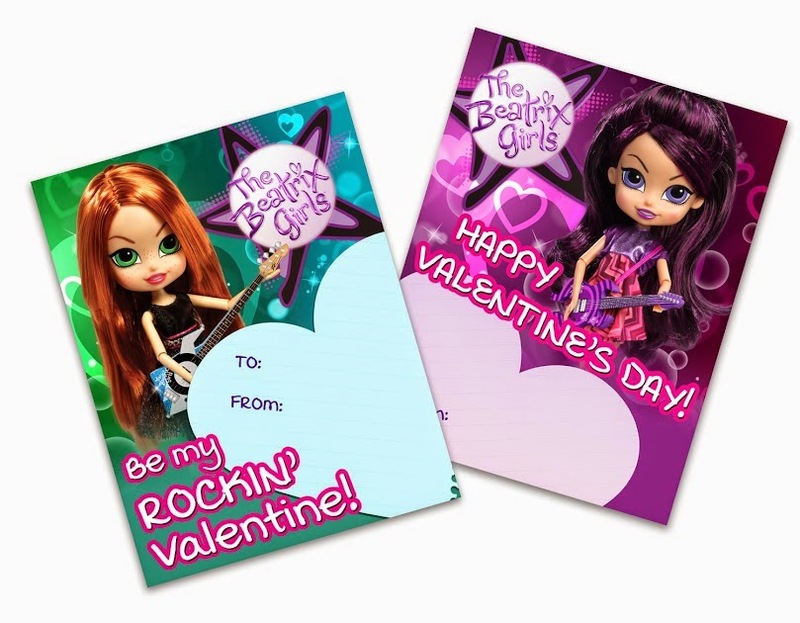 Not only are The Beatrix Girls pop stars, but they're also big romantics! They love hearts, chocolates, and making each other feel special. The Beatrix Girls PJ sets, Pillow Pals and many more accessories are available at ToysRUs.com and on Amazon.com. Get yours while you still can! My daughter's favorite is Brayden. I like Brayden, she has the most awesome hair. I like Brayden because of her hair. I think my girls would enjoy Ainsley because she plays the drums. Brayden is my favorite. they are all cute! My daughter always talks about Chantal. We like Ainsley because she plays drums. I love them all but will go with Chantal because my grand daughter tends to like dark haired dolls. My favorite one is Lark. Brayden is my daughter's favorite! My daughter love Lark, so I guess she is my favorite!! Ainsley is our favorite at my house! Brayden would be my choice! My favorite is Brayden, she looks sassy. My favorite is Lark. Thank you for the giveaway! My daughter likes Lark. I thin kshe likes her because she has red hair like her. My favorite character is Chantal, also my niece's. Brayden has always been my nieces favorite one. They all love her. I like Brayden, she is cool with awesome hair! !